The October issue of Italia! 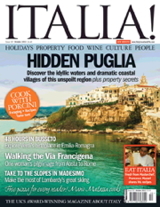 is on sale now and packed with holiday getaways, delicious recipes, reviews and properties to get you in the Italian spirit. 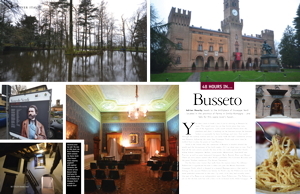 Adrian Mourby spends 48 hours in Busseto and visits the birthplace of operatic composer, Giuseppe Verdi. The Italia! team taste the distinctive porcini mushroom and give you their verdict on their favourite, and there’s of course the all important wine review, this month courtesy of Duncan Shadbolt. 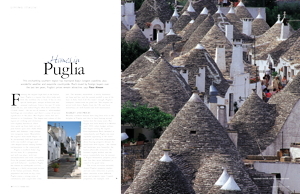 Fleur Kinson looks at homes in Puglia and we find out about life in an Italian kitchen from Mario Matassa. You don’t want to miss out! Adrian Mourby heads to the birthplace of opera singer Giuseppe Verdi, and takes a 48 hour break in Busseto located in the province of Parma, in Emilia-Romagna. Discover the best places to stay and dine, and the must-visits of the tiny and beautiful settlement. 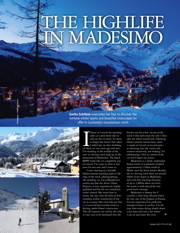 Discover the highlife with Gretta Schifano as she heads to Madesimo to conquer her fear, and find out more about the extreme winter sports and beautiful snowscapes in Lombardy’s mountainous north. 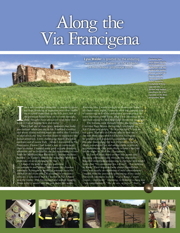 Lysa Walder inspires us as she embarks on the world-famous pilgrimage route, Via Francigena, raising money for Doctors without Borders and living out her Italian dream. Find your perfect home in enchanting Puglia with Fleur Kinson. Located in the south of Italy it boasts the country’s longest coastline, wonderful weather and exquisite countryside. With attractive prices, it could be just the place for you. 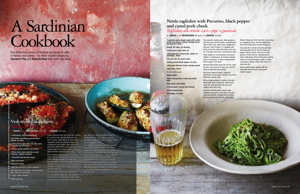 Giovanni Pilu and Roberta Muir bring you A Sardinian Cookbook, with lots in the way of flavoursome recipes from a distinctive cuisine. The iconic Italian red wine, Chianti, has been a fond favourite throughout history. 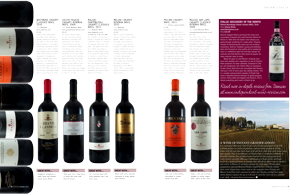 Now, Duncan Shadbolt reviews and tells us more about seven popular bottles that are the perfect evening indulgence.